and SUN- 1pm – 4PM – Walk-ins and reservations. 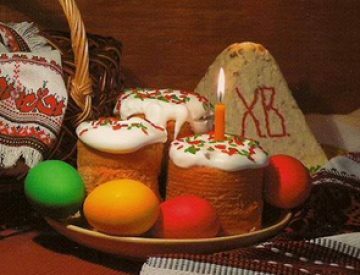 Dear friends of Dacha Tea! Friday, and Saturday from 11:00 am-4:00 pm and on Sunday from 1:00 pm -4:00 pm. Reservations encouraged. 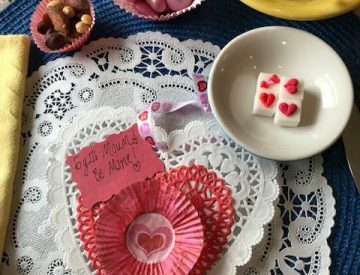 Other days are available for special parties or events. Thanks so much for your continued patronage. 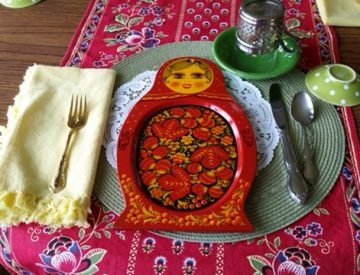 We love serving you tea from the samovar along with a bit of Russian cuisine! 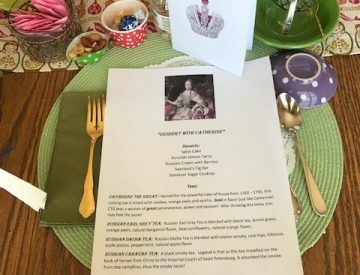 Dacha Tea — a Russian Tea House – was established in 2016. 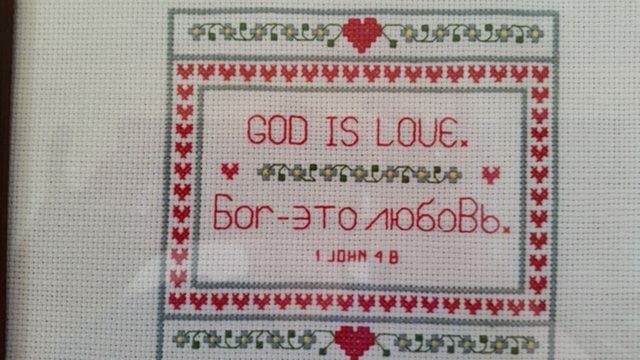 The proprietor, Jone Gittinger, has had a life-long interest in Russian culture. Dacha is the Russian word for summer home. 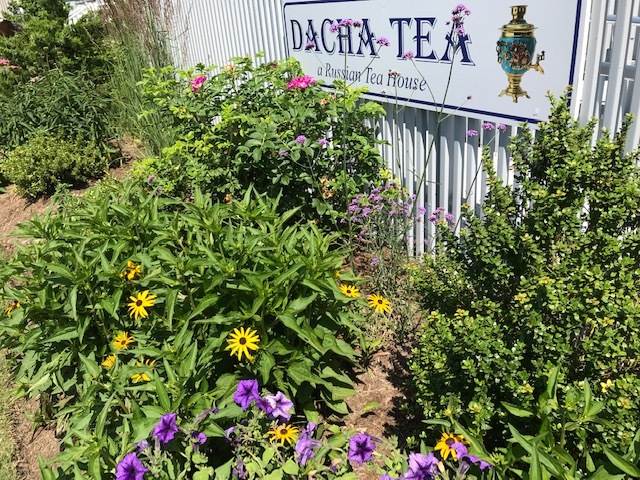 Since Cape Charles is full of many summer homes, we chose the name Dacha Tea for our Russian Tea House here in Cape Charles. Russians love dachas and often grow wonderful fruits, vegetables and herbs there. In the Russian tradition, we use locally grown fruits, vegetables and herbs as much as possible at our tea house. 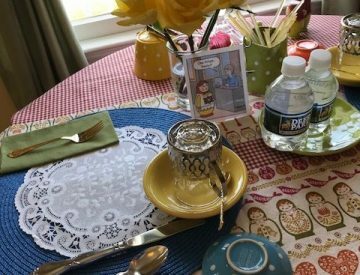 When you visit Dacha Tea, we hope you will enjoy generous hospitality and sweet friendship and that when you leave, you will be encouraged! 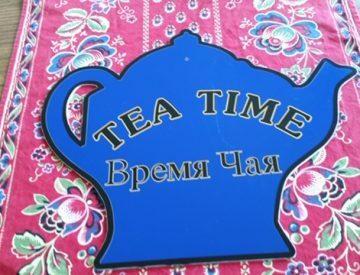 We hope you will enjoy drinking tea from the samovar as you experience a taste of Russian cuisine and culture!